Are you looking for apartment rentals in Redmond, WA? 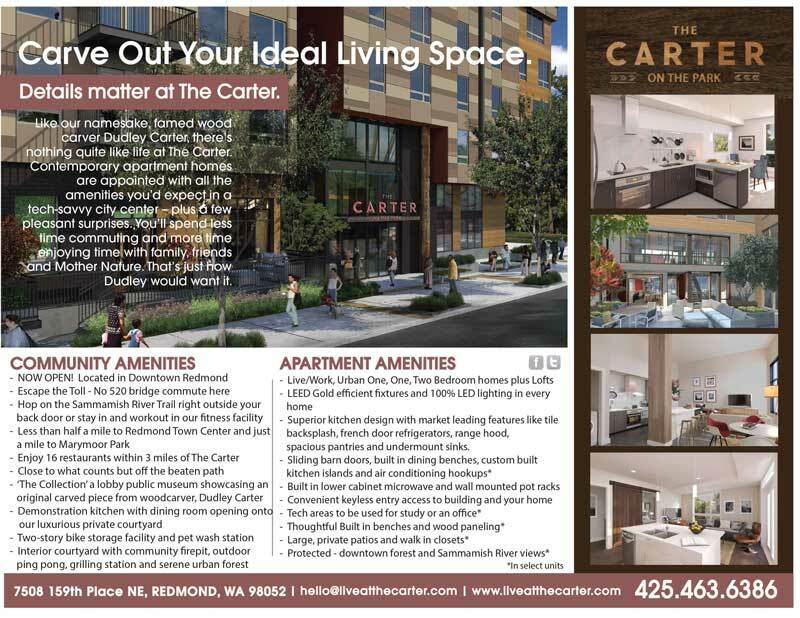 The Carter on the Park is the apartment building you’ve been searching for. Our apartment community is in a desirable location and provides you with the convenience of being near major local employers like Microsoft, great restaurants, some unique breweries and wineries, and numerous parks and trails. The Carter offers a variety of one- and two-bedroom floor plans to choose from that come complete with upgraded amenities such as kitchens with tile backsplashes, French door refrigerators, and spacious pantries. If you’re looking to be close to all the action while still having a private sanctuary to call home, The Carter is the place for you. Fill out the form to the right or call us at any time for more information! Proudly managed by Thrive Communities.